What would you get if you crossed Steven King’s Carrie with Stephanie Meyer’s Twilight Saga, and crossed it a few more times with Harper Lee’s To Kill a Mockingbird? Probably a lot of copyright suits, but you would also get something akin to Beautiful Creatures. 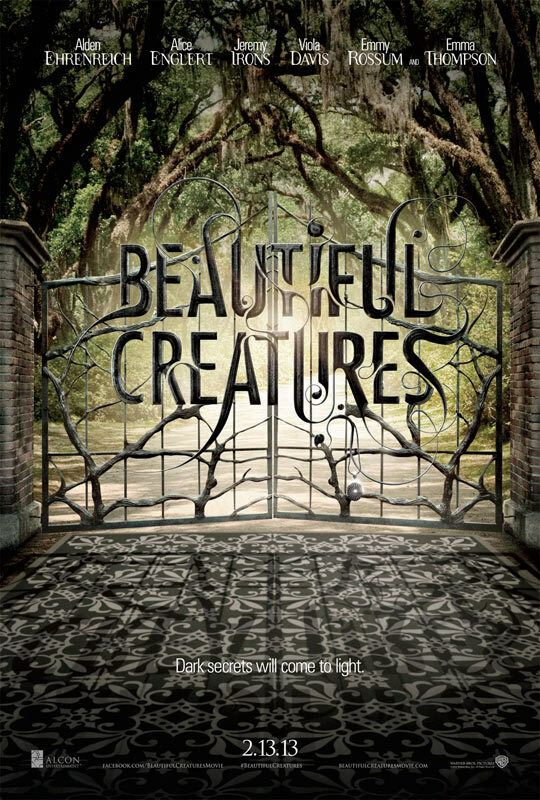 Following in the footsteps of the Twilight saga, Beautiful Creatures is another installment in the newly formed “paranormal teen romance” genre. Unlike Twilight, Creatures mercifully takes a more tongue-in-cheek venture into a genre otherwise marked by cringe-worthy melodrama. Moreover, the film helps it’s case by presenting sympathetic and refreshingly dynamic characters. Beautiful Creatures will not win any awards, nor will it make or break any of the careers of its cast. Directed by Richard LaGravanese, Beautiful Creatures is an adaptation of a 2009 teen romance novel of the same name. LaGravanese is to be commended first and foremost for his excellent choices in casting and as well as adhering to an established tone. It seems almost as though he understood that the novel was kind of a cash in on the exploding popularity of the genre and instead of focusing on the ultra-grittiness and forced realism of its competition, he took the story for the ludicrous subject that it was and ran with it. More surprisingly, the direction in which he steers the film makes it an exceptionally entertaining experience. Starring relative newcomers Alden Ehrenreich and Englert as star-crossed lovers Ethan Wate and Lena Duchannes, respectively, the chemistry between these two is actually generally charming, and in a bold departure from genre conventions, the attraction seems more genuine than two cardboard cutouts leaning against each other. Also making an appearance is legendary Jeremy Irons along with Emma Thompson who steal every scene they’re in. The thing that I appreciate about the acting here is that the entire cast seems genuinely pleased to be working and is actually invested in what is happening on-screen. This sentiment may seem like a given, but compared to the acting in other films like Twilight whose actors visibly stopped caring eventually, it’s nice to have something substantial to work with. Beautiful Creatures is in the fortunate position of being compared to Twilight because they’re both integral properties in a relatively new genre. Granted, a piece of rotting meat covered in dog puke would compare favorably to Twilight, so the challenge will be to evaluate the film on its own merit. It was a pleasure to see a relationship with more spark than a blackout at a rubber factory, and indeed there was some character building here that was refreshing amid the typical ‘blockhead 1 falls for blockhead 2’ arbitrary romantic subplot. Likewise, it was nice to see the strengthening relationship of the charters become plot-critical as opposed to being shoehorned in. The unconventionally attractive nature of the two protagonists is also a welcome respite from the stereotypical chiseled athlete and blonde bean pole that we normally see in teen romances. On the other hand though, it’s a little hard to take things seriously as much effort is being expended on making us care about the charters as people when most of the other charters in the film walk around like they just stepped out of the Rocky Horror Picture Show. I don’t consider this to be too much of an infraction though because I still appreciate the fact that you can’t really pull of this extravaganza as anything else but a fun, campy joy-ride. In a way, the film is campy without being disingenuous, which I realize seems like a contradiction, but I actually feel as though a really commendable amount of effort went into making an otherwise goofy film engaging. A word, however, on themes. I enjoyed how the film seemed to set up a commentary on intolerance in the American deep South, which could have served as an allegory for a multitude of other issues, from racial equality to gay rights. Unfortunately, however, all of its posturing is ultimately for naught as the whole issue if dropped half way through the film. When such an effort is made to establish an underlying conflict such as this, it is disheartening to see it dropped off the face of the earth with out so much as a backwards glance. My advice is that if an effort is made to establish a theme, for the love of all that’s holy, cary it out to its logical conclusion rather than letting it languish in obscurity during the second and third acts. When determining whether or not a film was good, one must ultimately answer one simple question: Did I have fun? In my case, the answer is a resounding “yes.” I had a lot of fun. The dialogue was witty, the characters were charming, and the conflict was engaging while remaining cognizant of its absurdity. For all of its faults, Beautiful Creatures is a cute, enjoyable journey into the fun side of paranormal teen romance and was well worth the price of admission. I’m quite sure that I’m going soft in my old age, as I’ve noticed myself liking a lot more movies recently. Perhaps “liking” isn’t quite the right word; “tolerating” is probably more accurate. Case in point: Warm Bodies. I walked into the theater the other day practically staggering in under the weight of my own preconceived notions, expecting Warm Bodies to be nothing more than a mildly amusing two hour time sink. The actual affair, however, was more than surprising. 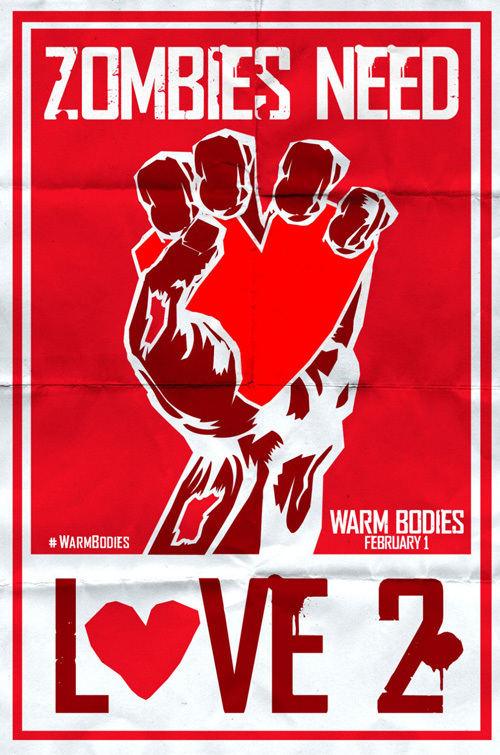 Written and directed by Jonathan Levine, Warm Bodies is a book-to-film adaptation of Isaac Marion’s novel of the same name. Not having read the book and thus being unable to comment of the faithfulness of the adaptation, the film, in the end, is an adaptation of an adaptation of a masterpiece. I’ll explain shortly. Staring Teresa Palmer and X-Men: First Class mutant Nicholas Hoult, performances seem to be less than grounded and slightly over the top, which is understandable and even welcome considering the ludicrous subject. Many of the gags rely upon the fact that reluctant zombie ‘R’ (Hoult) is unable to speak for most of the film. John Malcovich of all people makes an appearance as well as the hardened pseudo-military leader of the human resistance and does an admirable and convincing job of reminding me way too much of my father. Like I mentioned earlier, many aspects of this film were tolerable, and by no means bad, though it was all just kind of there, with no special effort made to venture beyond the superficial and shallow. The major focus in this ‘paranormal romantic zombie comedy’ is the relationship between human survivor Julia (Palmer) and ‘R’ after an unexpected romantic attraction shocks R’s heart into motion again, slowly starting his transformation back into a functioning human. Unlike Vampire Hunter (which I am still determined to make an example of) Warm Bodies is so self aware of its own tropes and cliches and appreciates the absurdity of the situation that it endeavors to establish a fun, cartoonish tone and just run with it. What’s more surprising, the ploy generally succeeds both in both its comedic and romantic pursuits. I had the added benefit of seeing the film with a large group of theater kids. Disregarding the fact that I was intermittently talked at throughout the entire damn production, I was also enlightened in regard to the subtleties of the plot. After the movie, they told me that Warm Bodies is essentially Romeo and Juliet with zombies. Now, being only vaguely familiar with the plot of Romeo and Juliet, they assured me that it indeed was so. Two warring families: Check. Two lovers named R and Julia: Check. Perry instead of Paris, Marcus instead of Mercutio; yeah, you’re getting it. The film went so far as to playfully recreate he famed balcony scene from the stage production, but it was only later that I understood the more marked similarities. If nothing else, Warm Bodies certainly earns favor for bringing such an original and fresh spin to a story that we’ve all heard one million times over. In addition, the last film I was that was so playfully aware of its own flaws was Dead Snow (2009) and in both instances, the self parody was a successful comedic device. Warm Bodies will not shock you, nor will you probably remember it next year, but it is an amusing, cute take on an age old classic. For all it’s flaws, it’s something new, and for that, I commend it.